Reader, Nick, emailed us to share a screenshot he took from his new Nokia 701. He notes that he got an update for the Nokia Store (ex Ovi Store) to v3.16.036, which previously was only available via Nokia Beta Labs. BTW have you guys got used to calling the app store from Nokia, Nokia Store as opposed to Ovi? I was all for the Ovi-Nokia branding shift, but somehow Nokia Store just feels odd. Possibly as it was previously another entity in itself (for buying Nokia phones/accessories). Anyway, the next time you open up your 701’s store you may get this update. 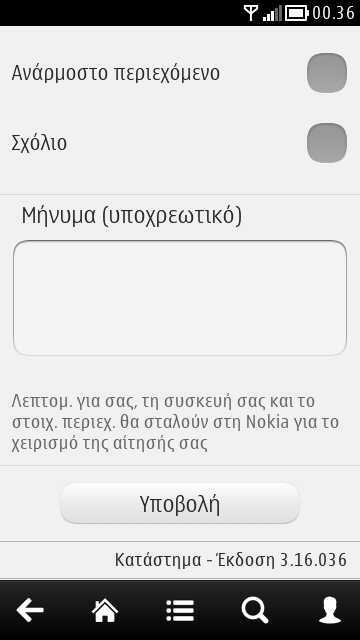 Hopefully, current S^3 users will get the move from Anna to Belle soon with updated Nokia Store pre-installed. Cheers for the tip, Nick!